As integral members of the collaborative team, advanced practitioners (APs) play a key role in educating patients about their specific disease and their individual treatment plans. But APs are also in an ideal position to educate their team members about universal topics that affect nearly all clinicians and patients. In the section below, you'll find several sets of slides developed exclusively to help APSHO members share their knowledge and experience in these areas. Each set of slides can be used for your own enrichment, or as an educational resource to foster discussion with members of your team in a small-group setting. 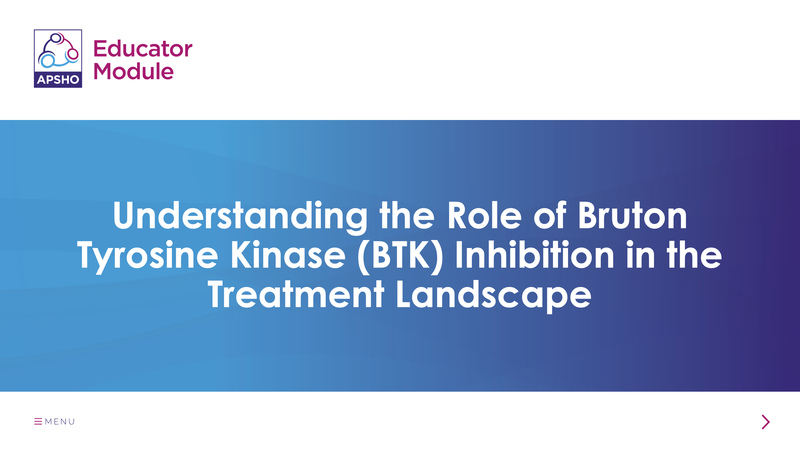 Educate yourself and your team members about how BTK inhibitors work as well as their role in therapy, and get clinical pearls for the management of commonly seen side effects. 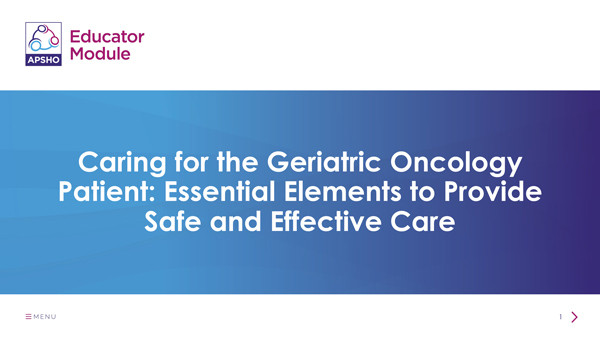 Update your knowledge of the essential elements of caring for the older patient with cancer, including assessing and managing pain, identifying cognitive changes, and addressing other concerns often seen in this population. 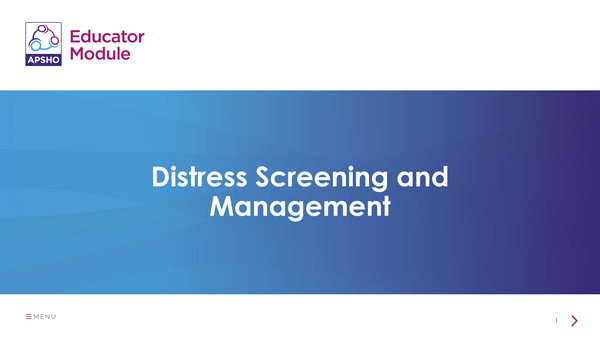 Download this helpful primer on cancer-related distress: Learn about assessment, management, and the serious implications of not addressing this critical but often-overlooked condition. Explore the importance of advance care planning for patients and their families, and learn how to navigate legal issues, overcome common barriers, and access helpful resources for advanced practitioners. Discover, or refresh your knowledge on, applied statistics in oncology. Explore how advanced practitioners can use an understanding of statistics to read and evaluate clinical trial results more critically.